Brass Fasteners - You can buy these at office supply stores. 1. 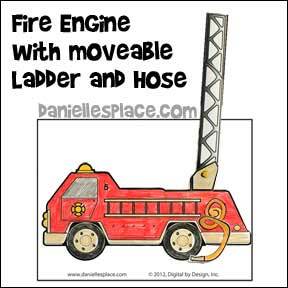 Print out the Fire Engine Picture and the Ladder and Hose Pattern. 2. 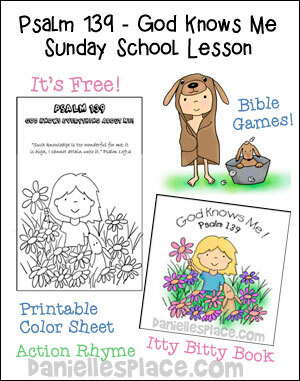 Have your children color all the pictures and then cut out the ladder, hose, and turntable. 3. Fold the two ladder patterns and tape them closed. 4. Punch a hole in the bottom ladder part and turntable where indicated. Attach the ladder to the back of the turntable with the brass fastener. Tape the turntable with the ladder to the fire engine at the bottom of the turntable and the top right-hand side. Make sure the ladder is still free to move. 5. Insert the smaller ladder into the larger, bottom ladder. 6. Cut out the hose pattern following the swirl shape. There are two patterns available, one that is easier to cut for left-handed people and another for right-handed people. 7. Glue the hose onto the fire truck by placing a dot of glue in the center of the hose. Make sure you use only a small dab so that the glue doesn't leak out and glue the rest of the hose down. 2. Cut out the patterns and tape them together matching up the straight line at the edge of each pattern to make one large pattern. 3. Place the pattern on a piece of craft foam, trace around the pattern, and then cut it out. Cut out the center moon shape. You can make this hat smaller for younger children. Follow the printing problem link above for directions on how to do this. This pattern is also available in two smaller sizes so you can make a matching hat for your stuffed animals or dolls. Children color the picture of the fireman and write words they have learned pertaining to fire prevention. Red and Black Bold Tip Brilliant Color Fabric Marker Set or Sharpie Markers - I like the fabric markers better because the colors are brighter. 1. Paint one wooden peg white for the dog and let it dry. 2. 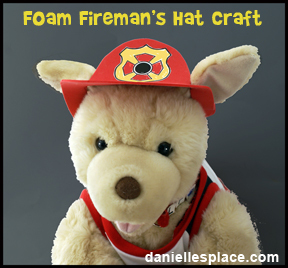 Print out the fireman coat and fire hat Pattern or make your own. Use the pattern to cut hats from red craft foam and the coat from yellow craft foam. 3. Wrap a black chenille stem around the clothespin for the fireman's arm so that the ends of the Chenille stem are on both sides. Glue it in place so it doesn't slip down. 4. Place the coat over the fireman's head pushing it down to the arms. Fold it over and glue it closed under the arms and sides of the coat. Fold in the ends of the Chenille stems to make hands. 5. 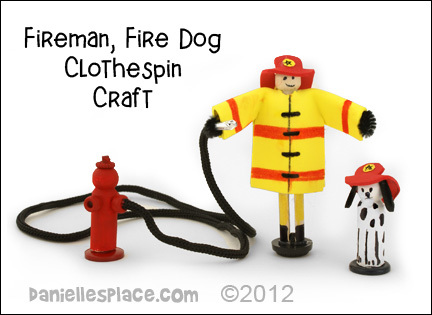 Glue the fire hats to the dog and the fireman clothespin. Draw on faces with a black pen. 6. 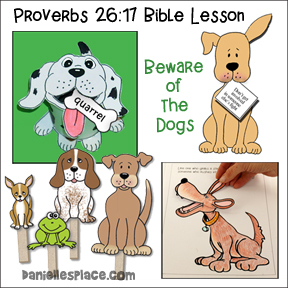 Add spots to the dog and stripes on the fireman's coat with the Fabric Markers or Sharpies. 7. Glue buttons to the bottom of the figures to help them stand up. If you don't have buttons you can use a bit of clay. 8. To make the fire hydrant glue pony beads or small buttons to the sides and the bottom, and then paint it red. Glue a black cord or shoe string to the fire hydrant. 9. You can add some duct tape to the end of the cord for the nozzle. 1. 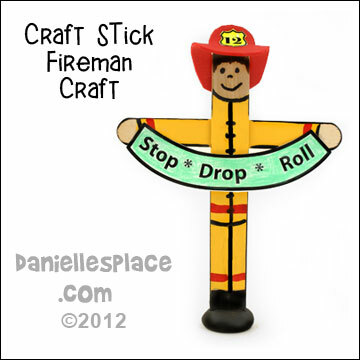 Glue a mini jumbo craft stick to a jumbo crafts stick to make the fireman's arms. 2. Roll a small amount of air dry clay into a ball and stick the fireman figure into the clay. 3. When the clay is dry paint the sticks to look like a fireman. When the paint is dry use black and red makers to draw in the details. 4. 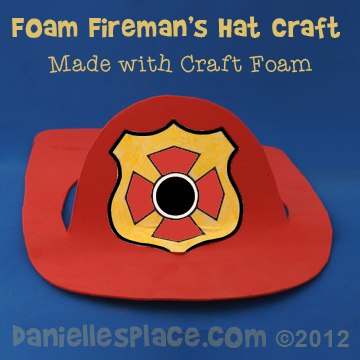 Print out the fireman hat pattern and the sign pattern or make your own. Use the pattern to cut a hat from red craft foam. The hat is basically a small oval with an arch shape cut in the top. Glue the hat to the fireman's head at the front and back. Use a red Sharpie or fabric marker to color the back of the head red to look like the fire hat. Cut out the shield and color it yellow with a highlighter pen and glue it to the front of the hat. 5. Glue the sign to the fireman's hands. 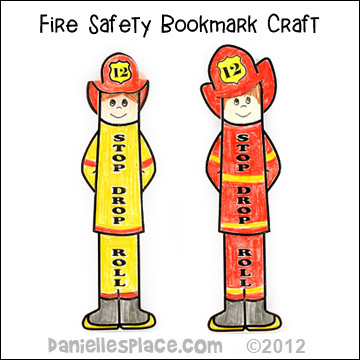 These Firemen bookmarks come in two different styles. The finished bookmark is about 8" high. One hat is glued to the head and then bent over to the back of the craft stick to make a 3-D effect. The other hat has a slit in it and the craft stick is inserted into the hat. The only supplies you need for this craft are card stock, colored pencils, scissors, and glue. These patterns are available to members only. 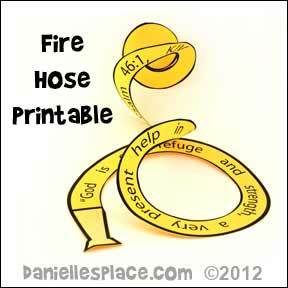 This Fire Hose Printable can be used for many purposes. 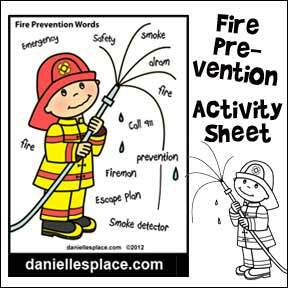 Children can write words relating to fire prevention that they have learned. They can write a sentence about fire safety or something they have learned about fire safety. 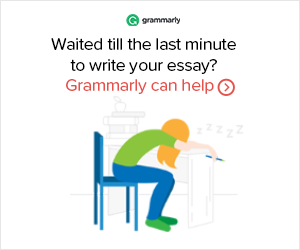 When they are finished writing have them cut out the swirl to make it look like a fire hose. Fire Engine Pinata, 13" x 20.5"